At the Region is an ongoing feature that discusses the state-by-state training, certification and employment requirements of first responder departments across the nation. In this issue, At the Region looks at EMS requirements in FEMA Region VIII: Colorado, Montana, North Dakota, South Dakota, Utah and Wyoming. Certification of emergency medical care providers in Colorado is provided at the EMT, EMT-I, AEMT, and paramedic levels by the Department of Public Health and Environment. In order to certify, all applicants must register with NREMT and complete all written and practical examinations. In order to be eligible for testing, applicants must first complete an approved training course; a list provided by the state that meets NREMT standards is available here. Applicants must also pass a Colorado Bureau of Investigation fingerprint background investigation, and provide a fee of $17.50 for this service. Once testing has been completed and all forms have been submitted, it will take four to six weeks to process the application and background check. The first EMS Certification is issued for three years. 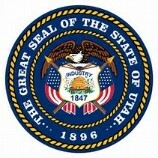 • A fingerprint-based background check submitted to the Colorado Bureau of investigation. • A valid NREMT number at the provider level you intend to practice at. • An image of your current and valid CPR card. • An image of your current and valid ACLS card (EMT-I and Paramedic applicants only). • An image of your lawful presence document such as a driver license or passport. • Completion of the minimum required CE hours along with attestation of skill by a course provider or medical director (36 hours for State EMT and 50 EMT-I and paramedics, or 72 hours for NREMT EMT, EMT-I and paramedics). ** Intermediate-99:** Colorado offers EMS certification at the Intermediate-99 level. Since the NREMT no longer recognizes EMT Intermediate-99, they no longer issue NREMT numbers for that level. When applying for Colorado EMS certification, applicants who wish to certify at the Intermediate-99 level must upload documentation from the NREMT that shows they’ve passed both written and psychomotor tests. Those currently certified at the Intermediate-99 level can use the State CE and skills attestation method to renew their certification. To apply for a license, qualified applicants must send proof that all requirements are met, along with an, verification of licensure from every state in which the applicant has practiced when applicable, and the unopened results of a current self-query on the National Practitioners Data Bank. To request a self-query, applicants must input all required information on the Data Bank website, print the completed application, have the printed copy notarized, and mail it to the Data Bank for processing. There is an $8 fee associated with this process. Approval generally takes 10 days from the time the application is submitted. Current application fees are $30.00 – EMR Emergency Medical Responder $50.00 – EMT Emergency Medical Technician $70.00 – AEMT Advanced Emergency Medical Technician $100.00 – Paramedic. Montana uses NREMT standards for its EMT licensing, and offers reciprocity to out of state EMTs who are registered with NREMT. Out of state applicants must also meet all other Montana requirements for EMT licensing as provided above, and supply information as required, including verification of licensure from all other states in which the applicant has been licensed or certified. A list of authorized courses and dates is available. EMTs in North Dakota can earn free DEMST approved CEUs from American CME; the courses are 30 minutes each, and are also approved for CE credit from NREMT (contact NREMT for specific guidelines relating to how many hours are accepted for your certification and level). Re-licensure is required, based on the level of license. 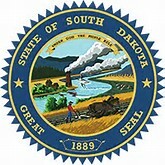 The South Dakota Department of Health, Office of Rural Health oversees the licensing of emergency medical technicians in the state at EMR and EMT level. The South Dakota Board of Medicine and Osteopathic Examiners oversees licenses and requirements for ALS Providers;EMT-Intermediate/85, AEMT, EMT-Intermediate/99, and Paramedic levels. In order to become certified in South Dakota as a BLS Provider, EMRs and EMTs must complete training and certification requirements. All EMRs and EMTs are encouraged to register with NREMT, and complete all exams and requirements. BLS providers must recertify every 2 years after completing the required number of Continuing Education credits, 16 for EMR, 24 for EMT, along with proof of a current CPR card, or proof of National Registry Certification and a copy of current CPR card. AEMT and paramedic providers must be licensed annually through the South Dakota Board of Medical and Osteopathic Examiners; forms and procedures are available on their website. All applicants must request a username and password from SDBOME to access information. South Dakota offers BLS reciprocity to EMTs who are registered with NREMT. In addition to submitting the application ,applicants must send their National Registry Card, CPR card, and any current state cards for review. Applications will be processed in two to four weeks. The Bureau of Emergency Medical Services and Preparedness (BEMSP) oversees the EMT certification process for the state. Current laws, as of July 1, 2017 can be found here.An EMR provider must be 16 years of age, all other provider levels require 18 years of age. The initial certification period is four years. The Wyoming Office of Emergency Medical Services (OEMS) provides the requirements, testing, and licensure for pre-hospital care providers in the state. All EMTs must meet training requirements by completing a course that is Division approved, or accredited by Commission on Accreditation of Allied Health Education Programs (CAAHEP). EMR providers must be 16, EMT and above must be at least 18 years of age. • Applicants for licensure who are licensed or certified in another state, or through the National Registry of EMTs, shall not be required to take the Division Licensure Exam if they meet all other requirements for licensure under this chapter. The initial certification period is 2 years. Reciprocity As of 2017, Wyoming is part of the Recognition of EMS Personnel Licensure Interstate CompAct (REPLICA) program, recognizing certification and training for EMTs from 11 states. Currently (as of 9/2017) commission members are: Alabama - Colorado – Georgia - Idaho – Kansas - Mississippi -Tennessee - Texas - Utah – Virginia – Wyoming. Applicants for licensure who are licensed or certified in another state, or through the National Registry of EMTs, shall not be required to take the Division Licensure Exam if they meet all other requirements for licensure under this chapter.